Have everything packed and ready to go? Now you’ve just got to get to your new place and settle in. But wait! You haven’t done any of your move-out cleaning yet. So there are a few things you probably need to go back and check before you leave. If you put a security deposit down on your place, you’ll need to do a thorough move-out cleaning before turning in your keys and getting some (or all) of your money back. Go around and make sure everything is out of your drawers and cabinets. Clean them all out, remove any liners you have in there, and give them a good wipe down. Be sure to look for any caked-on stains or debris and don’t leave anything behind. Clean your counters with an all-natural (or green) surface cleaner. Grab an empty spray bottle and fill it with water. Add a few drops of lemon essential oil and a teaspoon of vinegar. Now spray all of the counters and wipe them down removing any or all stuck-on food. Scrub off any stuck-on food (use a scrub brush or a putty knife) before spraying the surface with your homemade counter cleaner. Sprinkle a little bit of baking soda on the surface of the stove or the door of the oven and let it sit overnight before wiping it away and seeing a brand new appliance. After you’ve cleaned out your fridge and taken out all of the food go ahead and unplug it before cleaning it out completely. Spray the inside with your vinegar solution and wipe it down using a microfiber cleaning cloth. Rinse out the sink using hot water. Spray it down with your vinegar solution. Sprinkle some baking soda down the drain and garbage disposal followed by one cup of vinegar. Now go ahead and give your sink a good scrub while you let the baking soda sit for a few minutes. And then you can rinse the sink again with hot water. Everyone room on your move-out cleaning checklist should finish with you cleaning the floors. The floors are the very last thing you should do in each room before heading to the next. And they should only be done after you’ve got everything completely moved out of that space. To clean your kitchen floors, you can use an all-natural floor cleaner or you can use the same vinegar solution we’ve been using all along (if you have laminate or tile floors). Using a microfiber mop, go ahead and mop the floors from the inside of the room to the outside of the room. Create a paste-like solution using baking soda and water and apply it to the surface of your tub or shower. Scrub the solution into the surface with a sponge and spray vinegar on it so that it fizzes. Then go ahead and scrub it a little more before rinsing out the tub o shower with hot water. If you have any countertops or a vanity in your bathroom be sure to clean out the drawers in them (like we did in the kitchen) and give them a nice wipe down using our all-natural cleaning solution. Dust off any framing on these structures and wipe down the mirrors before calling them complete. Get some toilet cleaner and let it sit in the inside of the bowl. Now taking a spray bottle and a solution of vinegar, two drops of lemon essential oil, and a drop of tea tree oil spray the outside of the toilet. Give it a good wipe down using a microfiber cloth. Make sure you even wipe down the bottom of the bowl and the back of the toilet to ensure that no debris is left behind. Don’t forget about the mirror. Wipe down the outside of the mirror with a cleaning rag to clean up and dust. Spray the mirror with window cleaner, wipe it down and you’re good to go. Just like the kitchen sink, rinse it out with hot water, spray it with your solution and sprinkle it with baking soda. Give the sink a good scrub with either a scrub brush or a cleaning cloth before rinsing it out again using hot water. To clean your bathroom floors, you can use an all-natural floor cleaner or you can use the same vinegar solution we’ve been using all along (if you have laminate or tile floors). If you have wood floors you’ll want to use a cleaner made for wood floors. Take a microfiber mop, go ahead and mop the floors from the inside of the room to the outside of the room. Make sure you check all ceiling fans and permanent light fixtures for debris or dust. These should be the first things that you clean in each room since they’re dusty. Clean these fixtures before cleaning the surfaces (countertops, appliances) and floors. Every room should be checked for baseboards that need to be cleaned. Be sure to go around and clean these before you clean the floors and after you dust in each room. You don’t need to get out the surface cleaner and scrub your walls clean but you do need to make sure there are no visible marks on them. Go around and look for holes in the wall or marks that need to be covered up. Get rid of any dust and cover up any marks with touch-up paint. To clean the rest of the floors, you can use an all-natural floor cleaner or you can use the same vinegar solution we’ve been using all along (if you have laminate or tile floors). If you have wood floors you’ll want to use a cleaner made for wood floors. Take a microfiber mop, go ahead and mop the floors from the inside of the room to the outside of the room. 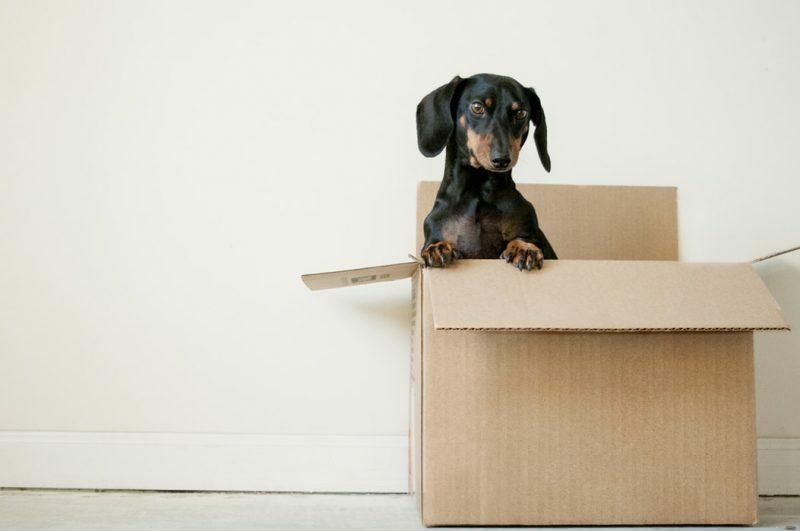 Need help with your move-out cleaning? Maybe you don’t have time to do your move-out cleaning or maybe it’s just too difficult for you to accomplish on your own. No matter what your situation is, we’re here to help. Contact us today for a free estimate and see how our professional house cleaners can help you.